You will love this new Large Family Instant Pot Recipe I’m sharing today! It’s quick, easy, and freezer friendly, too. 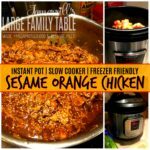 You can make this Sesame Orange Chicken Large Family Instant Pot Recipe, big time! Serve half for dinner and freeze the other half for later if you like. 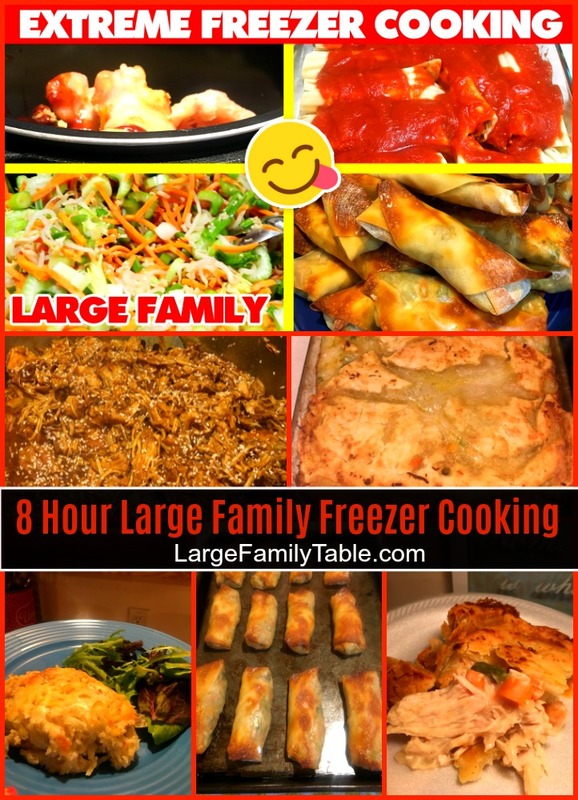 Or go all extreme Jamerrill freezer cooking and make 10 lbs at once creating a total of 4 large family dinners for when you need them in the coming months! 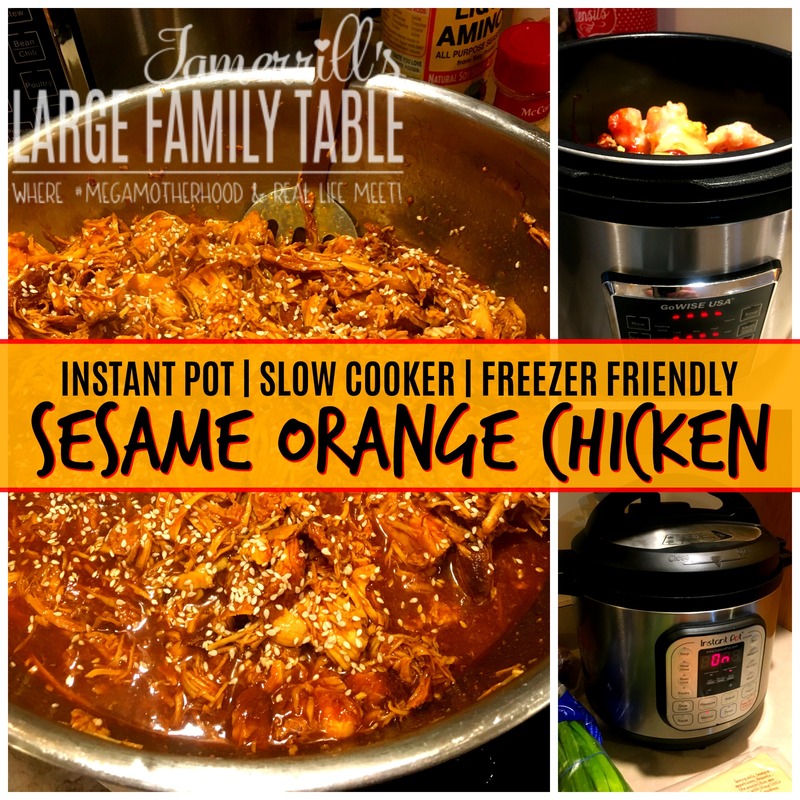 Enjoy hot and tangy Sesame Orange Chicken with your family! Serve over fresh rice and maybe even baked egg rolls from the freezer, too. Place the above ingredients in your electric pressure cooker (I doubled this recipe and used both my 8 qt Instant Pot and 14 qt Go Wise electric pressure cookers). After 30 minutes make sure your chicken reaches a minimum of 165 internal temperature per food safety guidelines. If you’d like to thicken the orange sesame sauce remove one cup of liquid from the pressure cooker and whisk 2 tablespoons of cornstarch into the removed sauce. Add the whisked sauce back into the pressure cooker. With pressure cooker lid removed select the saute setting, while gently stirring your sauce, for 1 to 2 minutes until it reaches desired thickness. You should also be able to shred the cooked chicken breast with two forks at this time. Serve Sesame Orange Chicken over a hot bed of rice. Sprinkle loose sesame seeds over the top of the meal. Top with diced green onions if desired. Once Sesame Orange Chicken safely cools divided into two 1-gallon freezer bags. Label bags and date bags and freezer for up to 3-months. 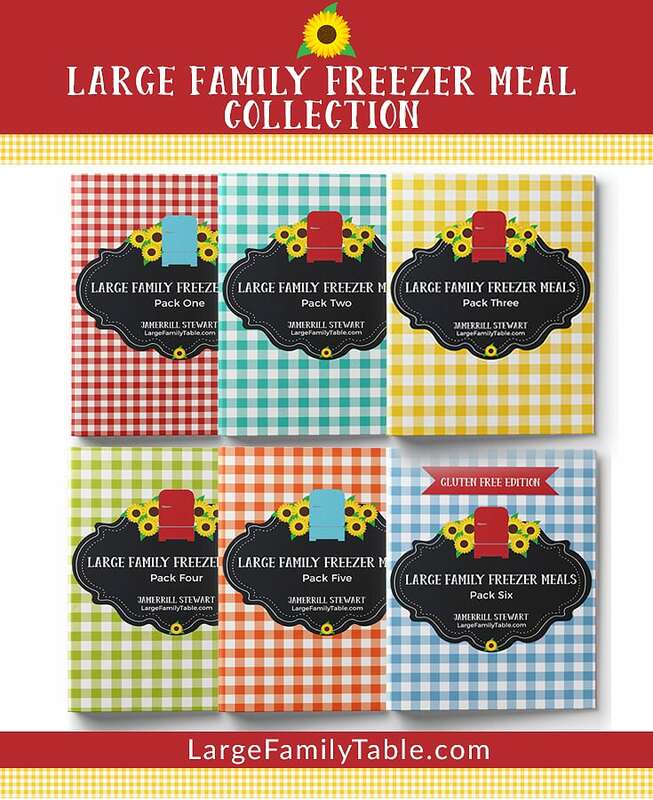 To serve set from the freezer into the refrigerator the night before needed. Once defrosted place in microwave safe bowl and heat for several minutes until heated through. You will need to stir this dish and may possibly need a bit of chicken stock or even water during reheating. Serve over hot rice and sprinkle fresh sesame seeds onto the meal. To make this a slow cooker recipe follow the steps above with unfrozen chicken. Place all ingredients in your slow cooker and cook on high for 6 to 8 hours. During the last 30-minutes or so you can thicken the sauce in the slow cooker with 2 tablespoons of cornstarch if needed. Follow the serving steps listed above. Click here for many more large family Instant Pot Recipes!